In the 1980s, an era of political turmoil sweeps over Africa, offering opportunity for those who can move with the flow—not always for the better. Among those taking advantage of shifting political alliances are international rhino poachers who begin the rapid eradication of one of Africa’s most magnificent animals for their horns, much sought-after ingredients in Chinese and Vietnamese medicine. 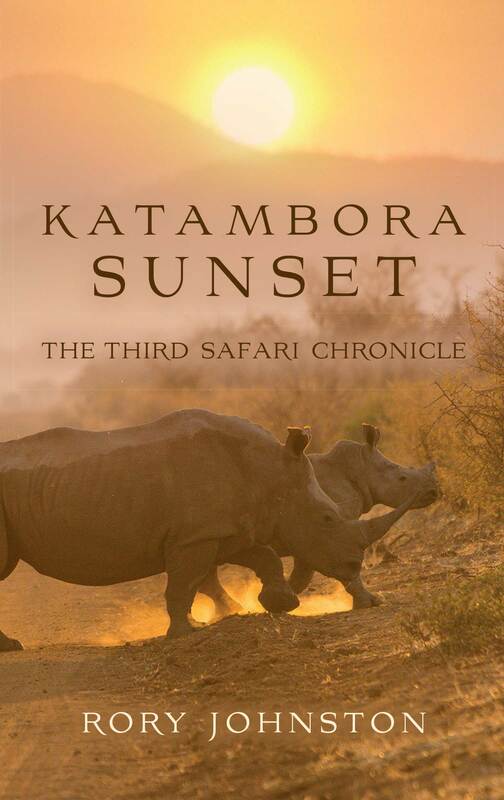 A rousing Southern African adventure novel reminiscent of Wilbur Smith’s early works, Katambora Sunset brings Rory Johnston’s Katambora trilogy to an exciting close. 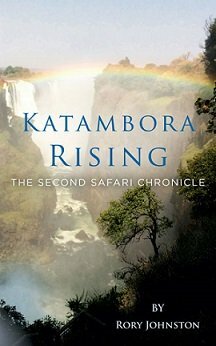 Katambora Rising continues the story of Colin’s dedication to the Zambezi River valley and its BaTonga people. Despite a grenade attack that nearly destroyed his Katambora Safari Ranch, he remains steadfast in his determination to change his family’s business from hunting to photographic safaris. Katambora Rising will touch your heart and awaken your senses while shining a light on the roots of the elephant and rhino poaching and loss of habitat happening in today’s Africa. This brief autobiography tells the charming story of a young boy and his journey to self-discovery through his interactions with the unique aspects of African life. Filled with adventure, introspection, and a subtle spirituality, this is an enjoyable tale of adolescent adventure and discovery. How did a love that spanned decades and worlds finally fan its long smoldering spark? It happened at Squeedunc Plantation. Such is the origin, as well as the title, of a short story of love, passion, and the incredible feeling of discovering a soul mate that cannot be undone by life’s many conflicting pulls. Co-written by Virginia and Rory, “It Happened at Squeedunc Plantation. A Love Story” is the poignant work documenting the decades-long exchange of star-crossed lovers who transcended time and place to cement their extraordinary love. This tender tale of love lost and regained is certain to inspire you to hold fast to your heart’s longing, no matter how many conditions and continents stand in its way. “A Major Hoodwink” is a story about two people meeting while studying in Edinburgh, Scotland. It traces their life and that of their families with the build up to World War II and how they managed to survive. It is a portrayal of determination to succeed and what was necessary to protect the British way of life against the evils of Nazism. The book is based on the World War II exploits of Rory’s father, Major Hugh Johnston, of the Royal Scots Regiment. It details his activities from enlistment to active service with the invasion of the Dutch fortress island of Walcheren. He was commanded to obtain the surrender of the German forces numbering some 2000 men which he managed with a force of only 140 men and no tanks. The German General would not surrender to anyone of lesser rank than a Colonel – so Major Johnston promoted himself and bluffed the General into believing he was surrounded by a hugely superior force. The book also explores the life of his lovely wife, Mary Kate and the stress imposed by the war on her family, the activities of the heroic Dutch Resistance fighters in Holland and the remainder of war until the Nazi capitulation. Sure to remind you of an earlier age of innocence in writing, The Sands of Katambora is a sentimental story about overcoming obstacles and pursuing a greater good. It will touch your heart, excite your senses, and open your eyes not only to the beauty of the African landscape, but also to the ways wildlife and wild spaces are affected by human behavior. It has a powerful, prescient message of the devastation caused by modern ivory, rhino horn poaching and loss of habitat occurring in today’s Africa. The story is set in Central Africa, along the Zambezi River, and is about the BaTonga people, who worship the River God, Nyaminyami. A dragon-like creature with a snake torso and a fish-shaped head, the BaTonga believe he controls their lives, and he is rumored to cast a spell on anyone who sets foot in the Zambezi valley. And so it was that Colin Somerset fell under her spell, and was bound to Nyaminyami for his entire life and throughout all of his endeavors. After first coming to the valley at age five, he dedicated himself to improving the quality of life for his beloved BaTonga people, and to protecting the land and wildlife held under her dominion. Set on transforming his family’s business from hunting safaris to photographic safaris, Colin encounters tremendous struggles, opposition, and resistance from those around him, and experiences turmoil in his own personal relationships. A must-read for anyone interested in Africa, its people and landscape, The Sands of Katambora tells a compelling love story with a timeous message about conserving the world’s wildlife and wild spaces.